On the ground, under mature wattles. 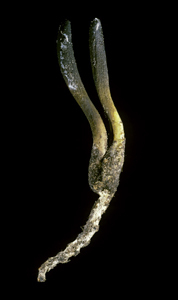 Fruit-bodies appear above ground as sturdy blunt-ended clubs with a head and stem. 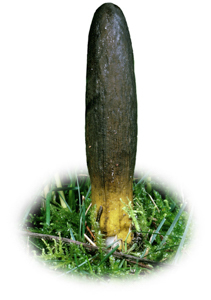 The head is deep olive-green to black; characteristically, it integrates smoothly into the yellow stem.